Maserati is best known for its sports cars and racing machines, but the four-door Quattroporte has been part of the company lineup for more than half a century. Collectors haven’t exactly flocked to these models, however, leaving depressed prices for the rest of us. Exhibit A: the 2004-’12 Quattroporte, one of the world’s finest sedans. It initially sold for six figures, but today’s starting prices hover around $25,000. The hit to its value hasn’t made this Maserati’s looks or driving experience any less stunning. 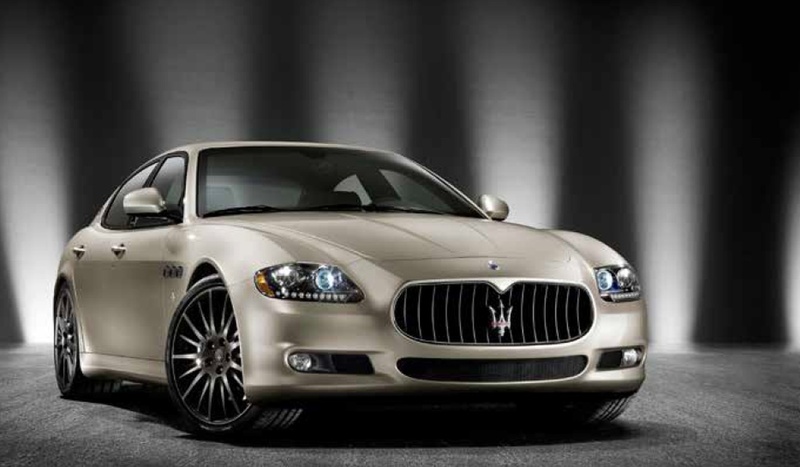 Development of that fifth-generation Quattroporte began after Ferrari’s investment in Maserati. The car’s power, for example, comes from the F136, a twin-cam V8 produced by the prancing horse. That same engine powers not only several other Maserati products, but various Ferraris, too, including the F430, California and today’s 458. When the fifth-generation Quattroporte debuted, its 4.2-liter, 394-horsepower V8 came backed by a semiautomatic six-speed DuoSelect gearbox–an evolution of Maserati’s Cambiocorsa transmission. That box is known for being a bit laggy and tough on clutches, but a traditional ZF automatic became optional starting with the 2007 model year. The car received a facelift for 2009, the same year the 4.7-liter Quattroporte S joined the lineup. I came across this this and remembered how they could sound like THIS. Are they forbidden fruit? To me nothing in that price range that is 4 doors make those noises. Besides the v10 m5's, but I know better than that! Holy E36 M3, i think I need a cigarette.. Anyone else check car-part.com for engine prices? $3-5k for various older years. The space between the grill and the headlights make it look like a kit car, or one of those motor homes from the 90s that used GM passenger car front lights. YUCK. I always wondered if you could grab one with a broken transmission and put something more reliable in there. For the maintenance costs, I think you could do a pretty good swap to any number of manual or clutchless manuals. The automatics are actually reasonably reliable. But and I mean this the only modern cars I have ever seen catch fire on the side of the freeway are these things. At least two in the last couple years alone. Really? I thought I remembered hearing that the robo manual (this is what I meant, not the of auto) had really short, really expensive life cycle. These are so far outside of my wheelhouse though that anything I say is hearsay. But where is the floor then? I've been watching them for years now and they aren't really getting any cheaper other than you can find shabbier and shabbier ones that are cheap because they're half-trashed. Decent ones haven't gotten cheaper in the time i've been looking. Robo manual is a pile of dog turds. It is on par with the Aston version which was developed by the devil with Lucas looking over the design docs and deleting things at random. I'm finding a lot with under 50k miles for under $18,000. Again, tell me no.